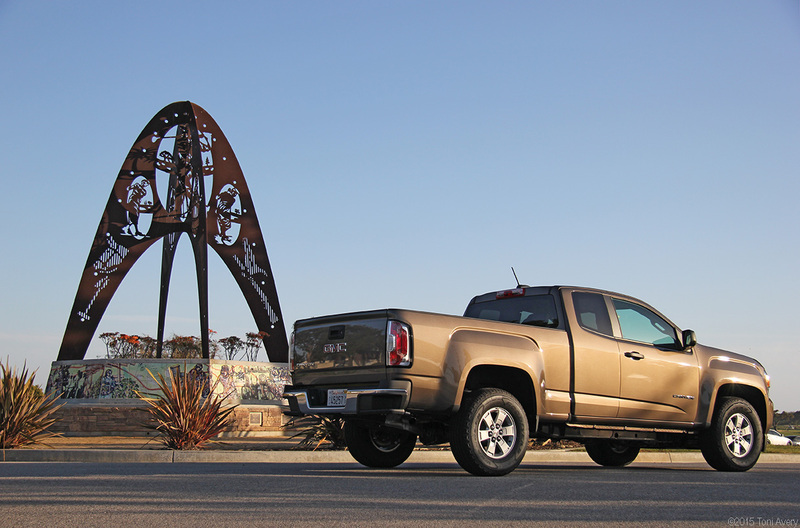 What do you think of when you see the word “truck?” Utility, storage space, built to last? Now you can add this word to your vocabulary: Good-looking. 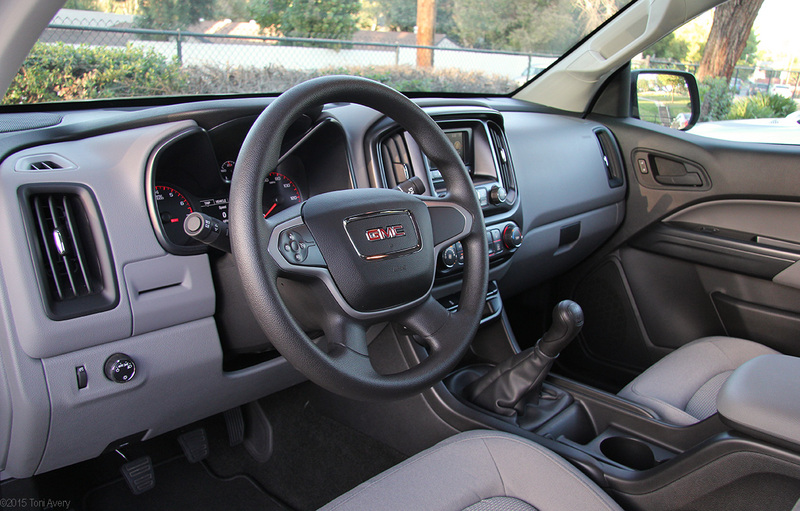 Yes, the word “good-looking” and “truck” don’t usually fall in the same sentence, but now with the 2015 GMC Canyon, they do. 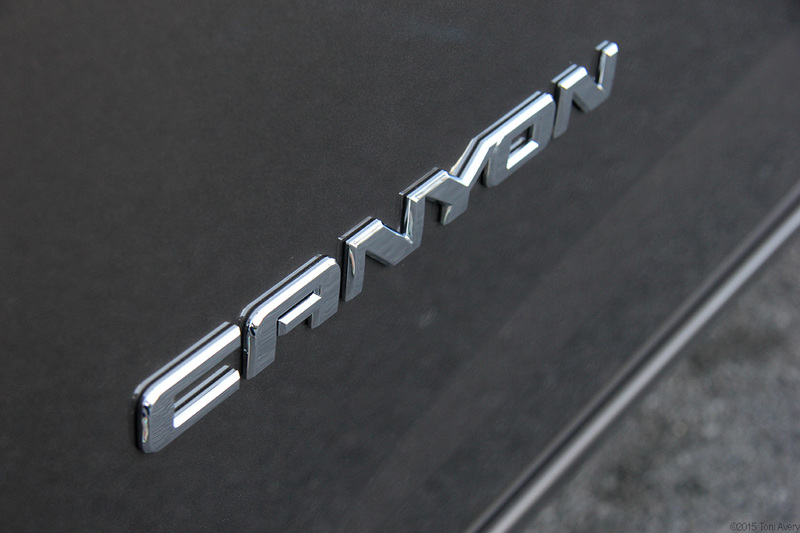 This Canyon is equipped with a 2.5 L 4-cylinder engine producing 200 HP and 191 lb-ft of torque mated to a six-speed manual transmission and is two-wheel drive. 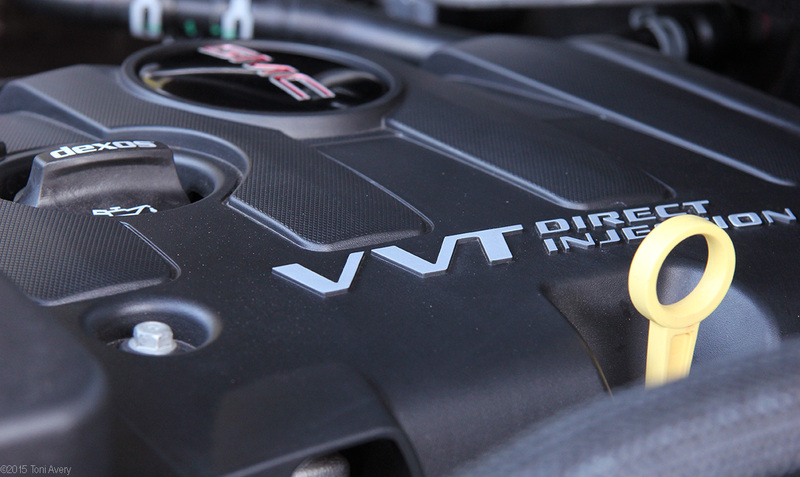 As far as power goes, this truck’s 2.5 L engine could use a lot more torque. It seems to take forever for the engine to respond when asking for more, but downshifting to the next lowest gear helps with that. A big plus for me with this engine is the standard six-speed manual transmission. It wasn’t sports car tight or quick and it wasn’t always smooth, but it took the worry out of controlling such a large vehicle. Handing was smooth and there wasn’t a bump in the road that resulted in anything more than a slight thud. When it comes to braking, we unfortunately can’t always try out systems like ABS on a closed and safe course. As is common with congested Los Angles freeways, other drivers decide to slow down or stop for whatever reason, leaving you little to no time to avoid a collision. Luckily for me, the brakes and ABS system on the Canyon work great. I was able to avoid a potential collision from sudden slowing cars ahead thanks to the trucks power-assisted four-wheel disc brakes with Duralife rotors and standard ABS. 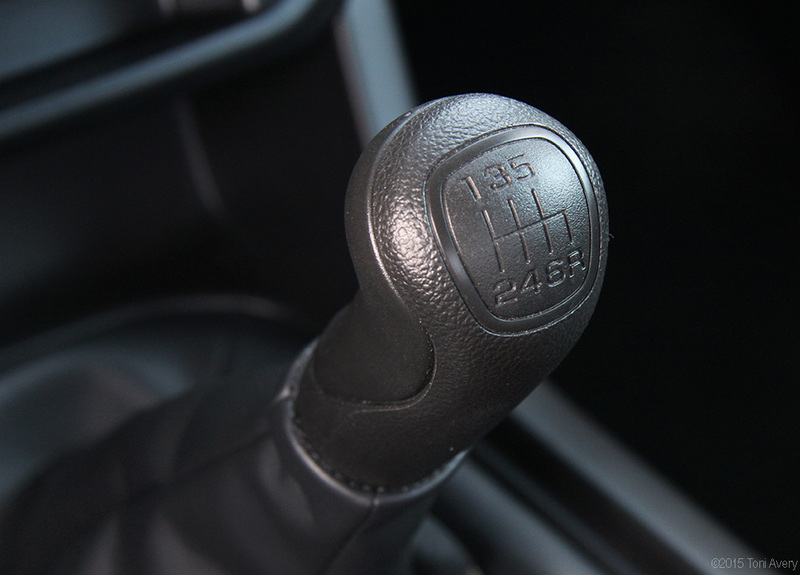 It may be a large vehicle, but never underestimate its stopping power. Another plus was the great gas mileage I got while driving the Canyon. Driving at least 250 miles during my week with it, the gauge didn’t even reach ¼ tank. The exterior of this truck is one of the best looking on the road. Finished in a Bronze Alloy Metallic, the Canyon fit in wherever it was parked whether it was a fancy restaurant or the local farm fruit stand. Although, it could do with larger tires, helping to fill in the large space between the wheel-well and the tire. Inside, the Canyon features a sea of plastic, understandably due to its utilitarian nature. Keeping the cars sticker price in mind, the plastic didn’t bother me as much as a constant creaking inside the cabin. The tall center console sort of got in the way of shifting at times. The rear seats, meant for small children, provided very little storage room. You’ll get more bang for your buck storing item in the bed. 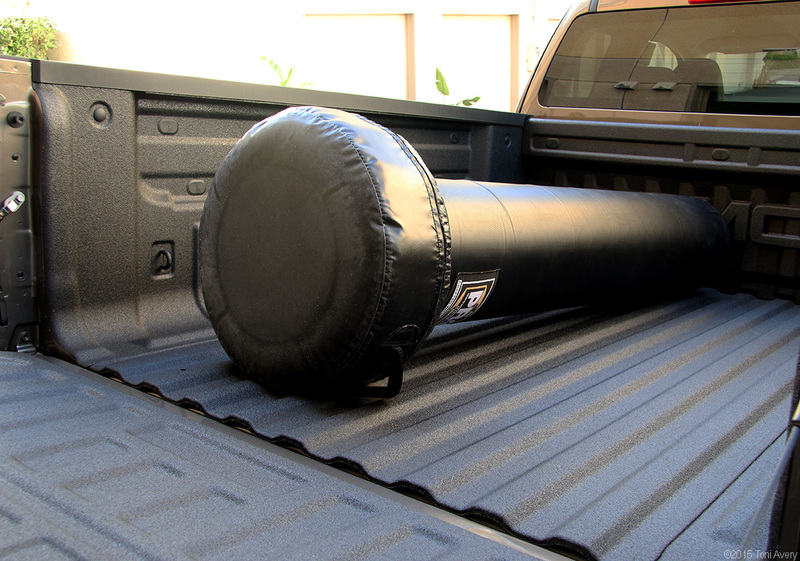 In fact, during my week with the Canyon, I picked up my new upright boxing bag, as tall as my 5’ 6” self, which fit perfectly in the bed. The stereo system worked well for long drives in the Canyon while having an integrated navigation system would have made for a more complete interior space. While the rearview camera was a huge help when backing out of parking spaces, having parking sensors would have been another added benefit. 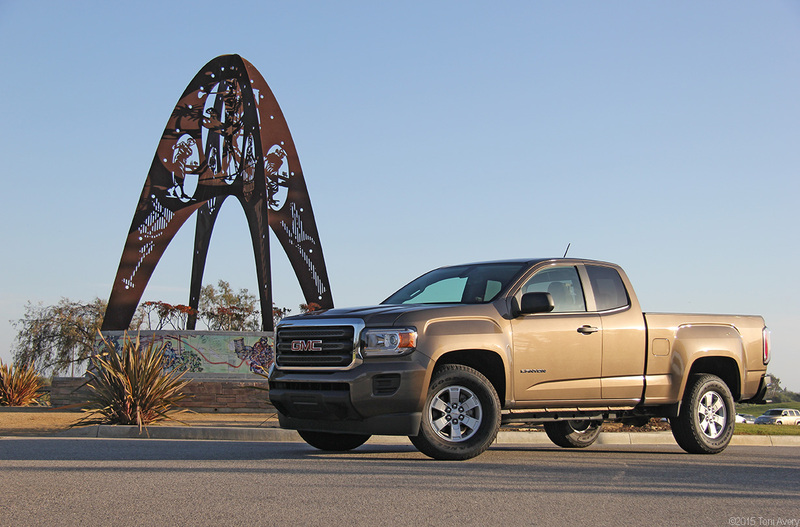 Overall, the 2015 GMC Canyon 2WD EXT Cab Pickup proved to be good fit for long distance driving and throwing just about anything in the bed. For the killer price of $24,915 (with options including the bed liner spray on) it would be tough to find another tuck with this much use and good looks for less.